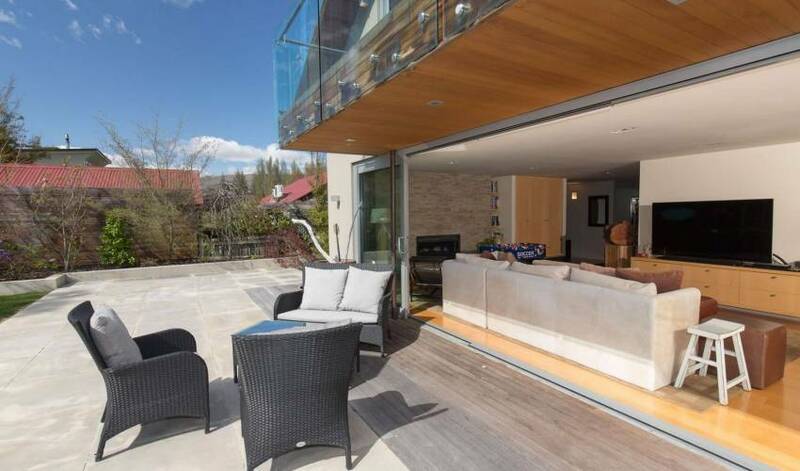 3 living areas plus a large open plan kitchen and dining area, contemporary kitchen; terrace overlooking lake, large private back garden and courtyard; BBQ; sauna; ski drying room, wireless internet and surround sound. 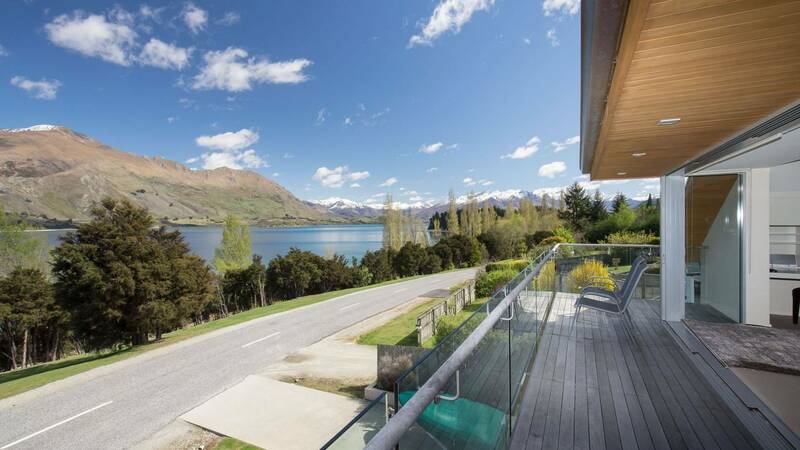 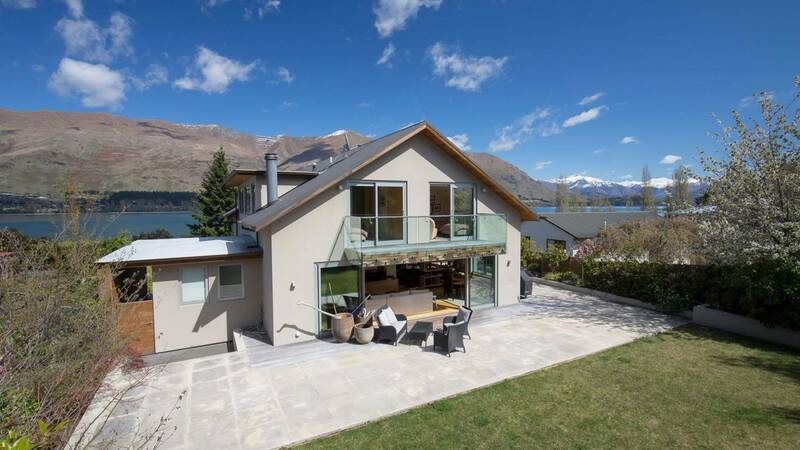 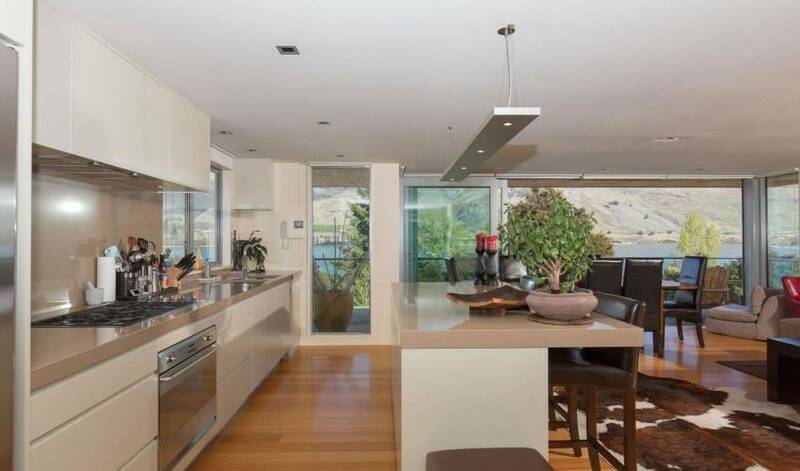 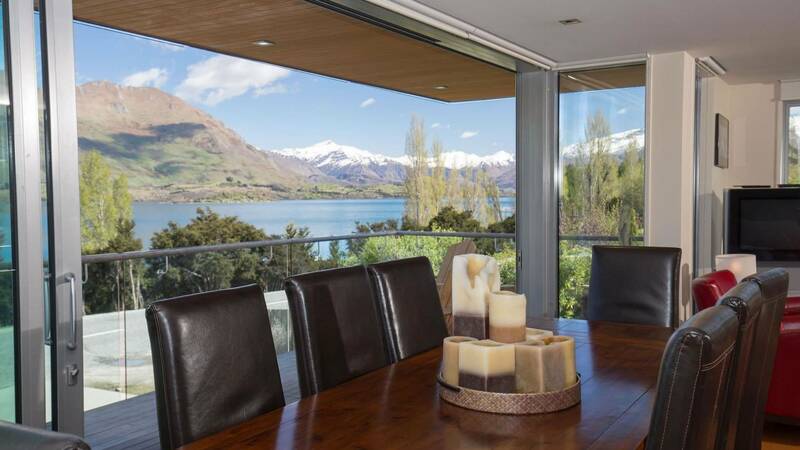 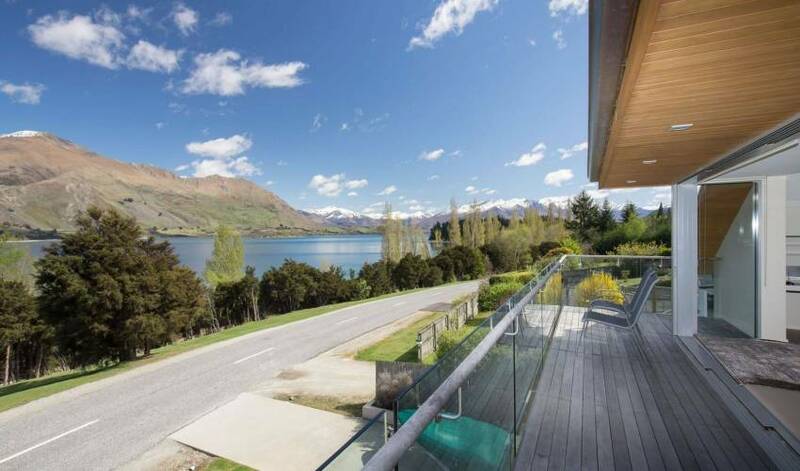 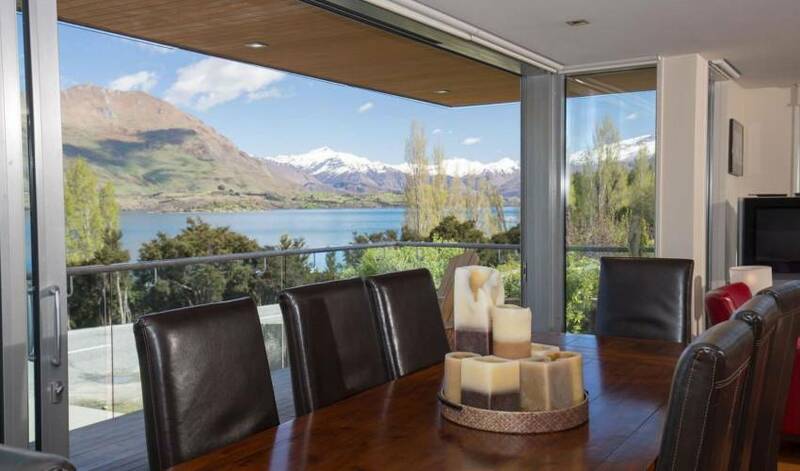 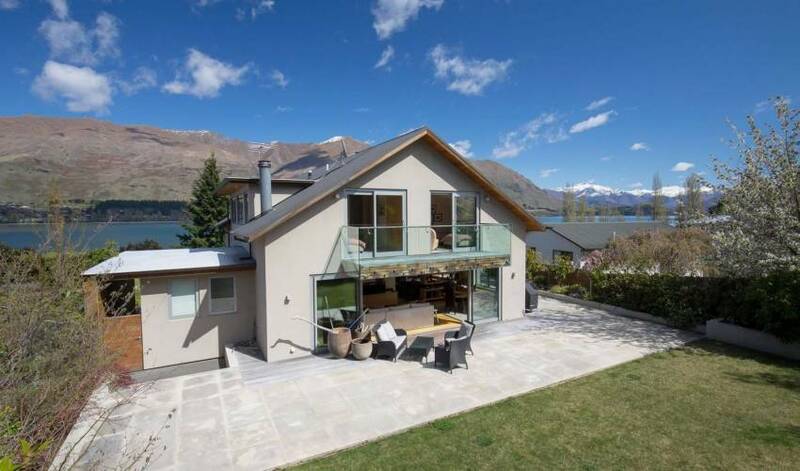 The entrance expands into an open plan dining/living/kitchen area with a cosy log fireplace and spacious balcony overlooking the views of pristine, magnificent Lake Wanaka. 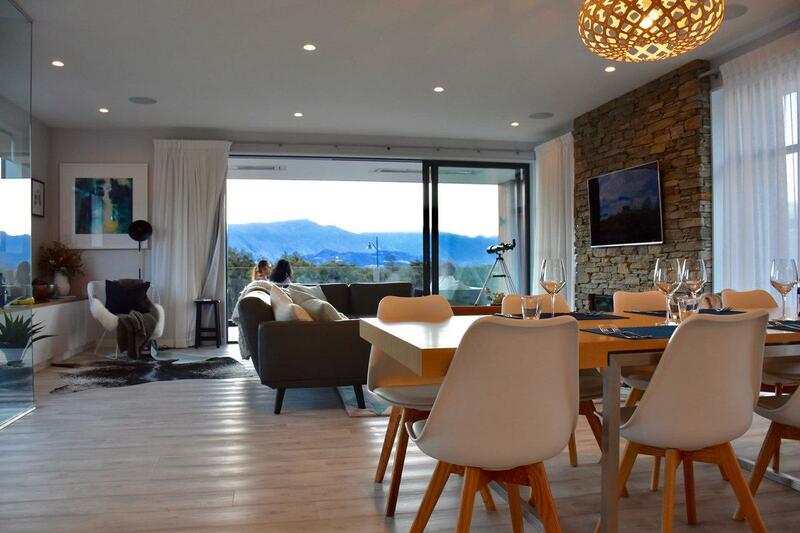 There are two additional living areas with comfortable large seating, a large flat screen TV, a games area and additional fireplace allowing for serious unwinding and relaxation. 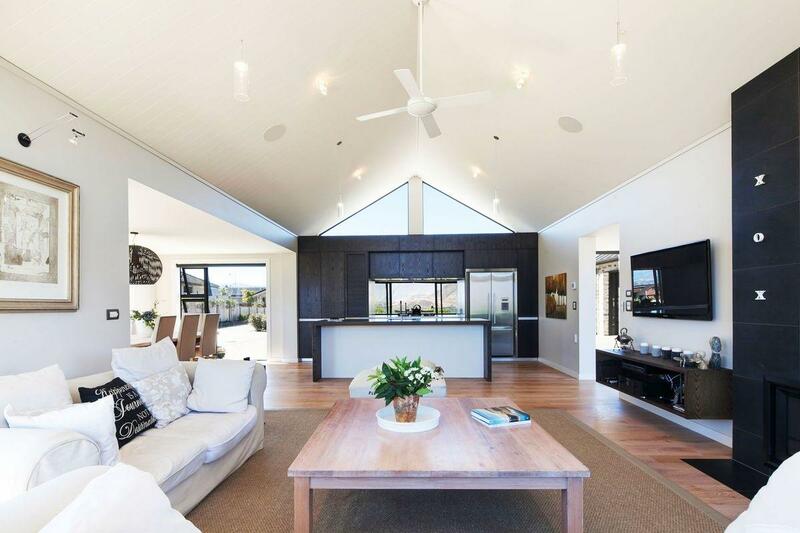 These areas share the front view as well as looking out onto a beautifully manicured garden with a large lawn, cubby house and additional outdoor dining area. 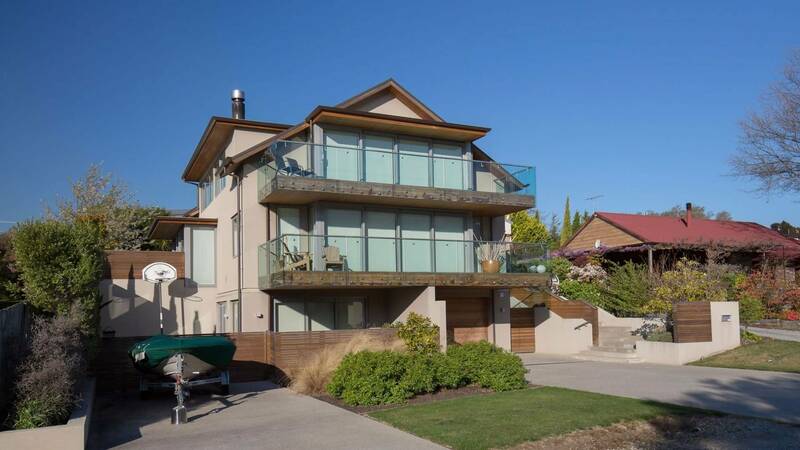 Moving to the top floor, you'll find four large bedrooms. The master bedroom with open plan ensuite enjoys spectacular views of the town and across the lake to the awe- inspiring jagged peaks of Mount Aspiring National Park. 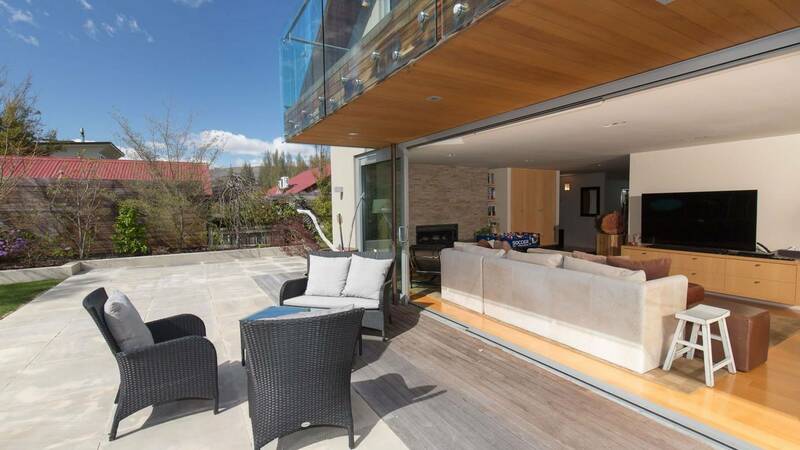 The remaining three bedrooms sleep six people comfortably with a large bathroom, guest bathroom and state-of-the-art laundry. 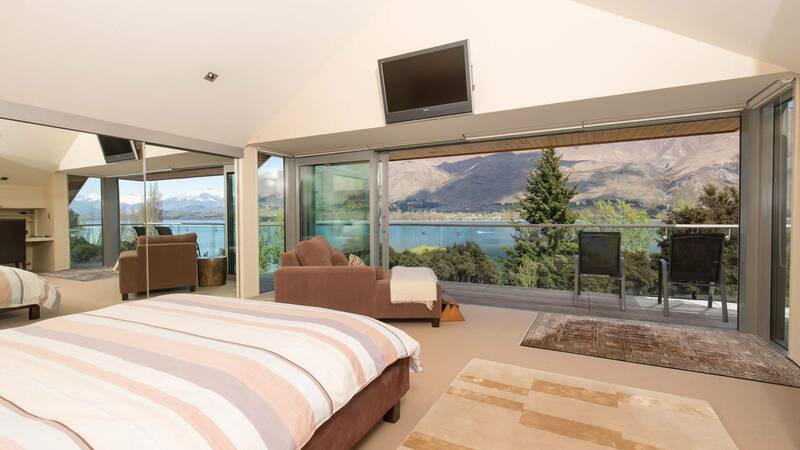 Fresh linen, towels and bathrobes are all part of the creature comforts of this magnificent home. 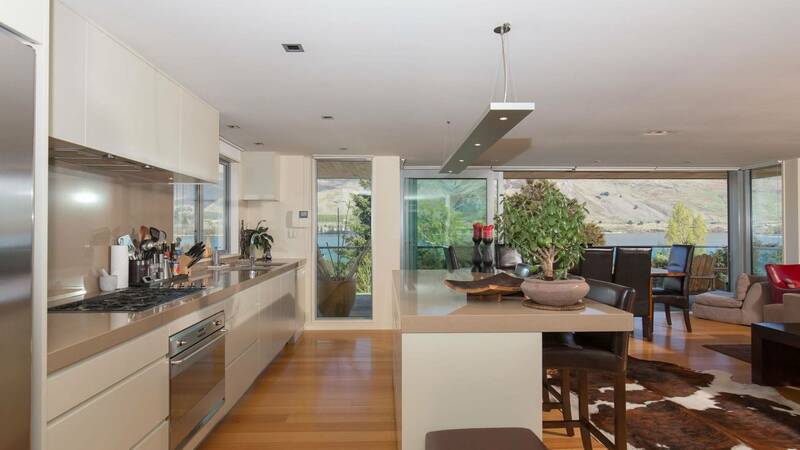 A self-contained apartment is attached to the ground floor sleeping two more people with internal bathroom, kitchenette and dining. 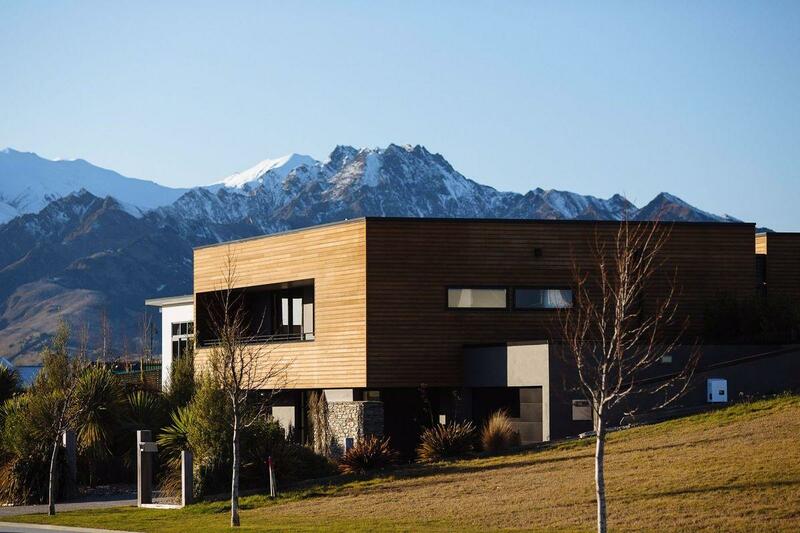 At the end of a busy day hiking or skiing, steam away in the sauna or simply relax overlooking the spectacular views as the sun sets.